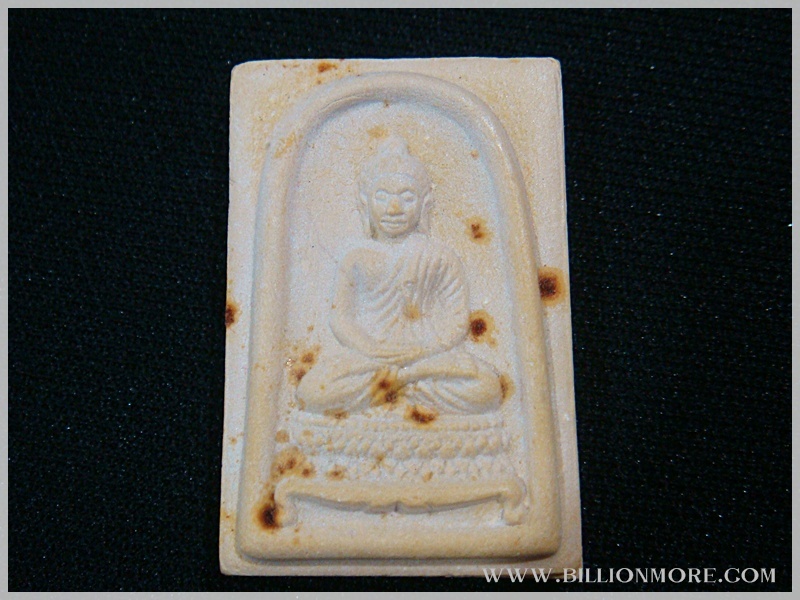 **Powerful: This Buddha amulet will bring worshiper auspiciousness, safety, good luck and prosperity. Present: This is the image of the main Buddha in the chapel of Wat Bangnamwon. 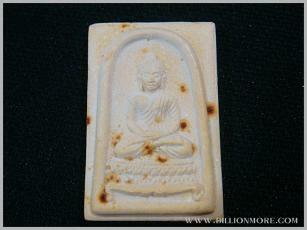 The back has imprint of LP Rod who was Wat Bangnamwon past abbot and Yant (magical letters). Objectives: This amulet was made in 1995 C.E. to make money to build the new chapel. 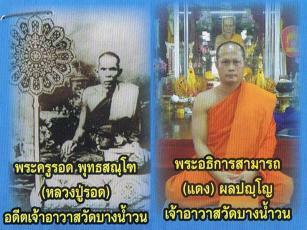 LP Rod was a well-known guru monk and a former abbot of Wat Bangnamwon in Samut Sakhon Province. LP Rod was respected very much by a lot of people. LP Rod was famous for his powerful amulets in protection, being invulnerable and charm. Nowadays, his amulets are rare and expensive. LP Rod was born in 1873, the reign of King Rama the Fourth. He got ordained as a novice when he was 12 and began studying magic with LP Khae from that time. When he was 20, he got ordained as a monk. Then he spent many years on going on a pilgrimage in Myanmar to sharpen the knowledge of magic of himself. LP Rod had much supernatural power such as he could control weather, when he said something what he said would come true, etc. He kept disciplines very well and was a good model for others. LP Rod passed away in 1945 at the age of 72. Note: The real amulet is in good condition from temple. 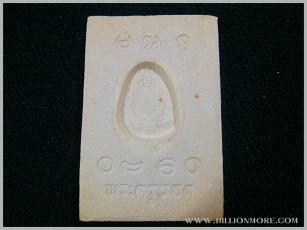 We have Katha for the amulets in text and MP3 and how to worship at Bonus File.